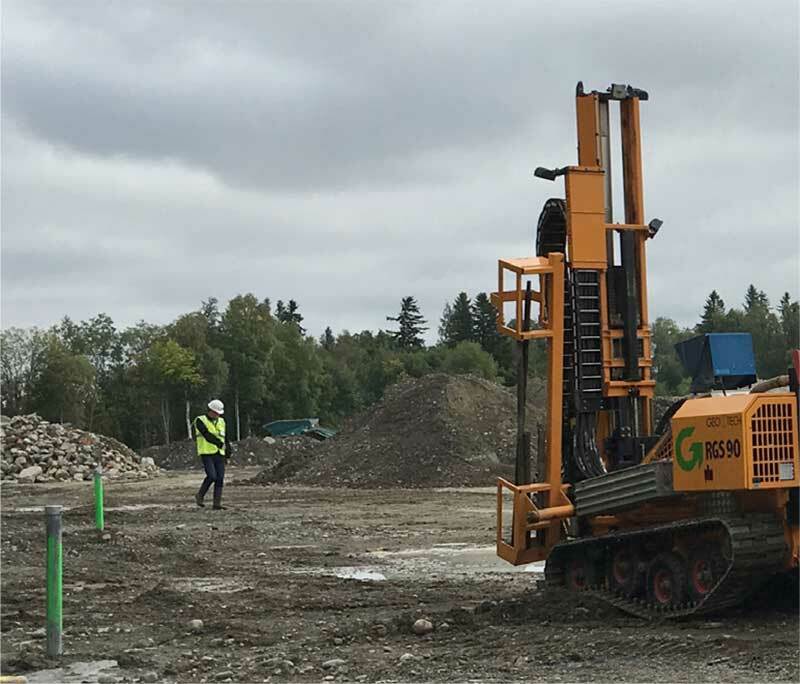 REGENESIS were approached by RGS Nordic and Nordic Envicon to form part of a specialist team to design a remedial scheme for a former aerospace factory in Finland. 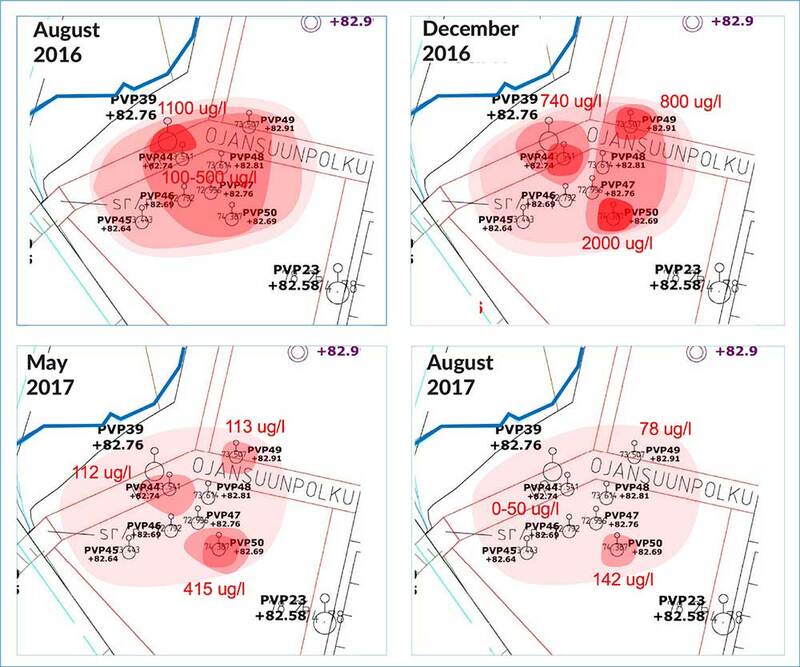 An area of over 100,000m2 is impacted by a chlorinated solvent plume in the groundwater, comprising predominantly cis-1,2-dichloroethylene (DCE) contamination. The first phase of these works comprised a pilot trial, to demonstrate the applicability and efficacy of the suggested treatment method ahead of full-scale deployment. Full-scale works will be required to deliver a fully remediated site within two years. 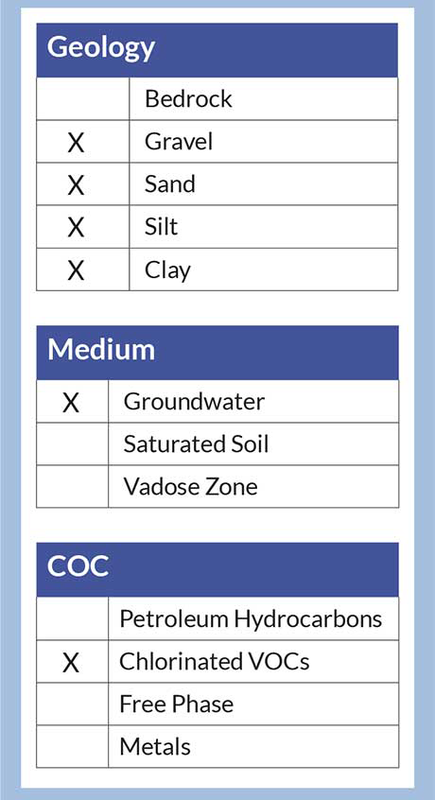 After completing an in-situ remediation option appraisal the team agreed that the full-scale strategy should comprise a series of ‘barriers’ (treatment zones through which groundwater would continue to flow, but in which the contamination would be degraded) perpendicular to groundwater flow. This configuration would minimize the number of injection points, reducing application costs, without compromising treatment efficiency. The electron donor which was suggested was 3-D Microemulsion® (3DMe). 3DMe provides three stages of electron donor release from a single concentrate of specially designed polar molecules. When mixed with water on site, 3DMe forms a high-volume microemulsion, without the requirement of emulsifiers. 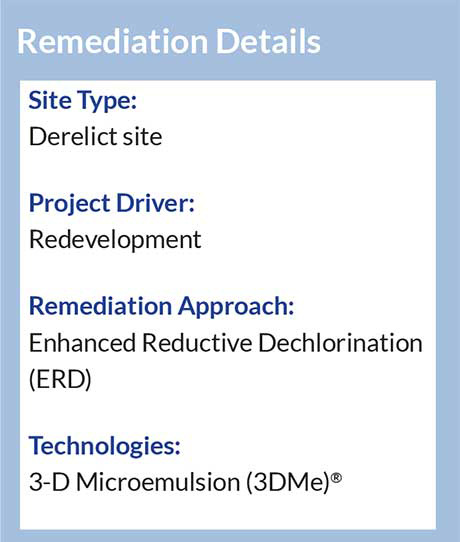 Upon injection into the groundwater, 3DMe initially moves out into the formation and adsorbs to the soil particles. 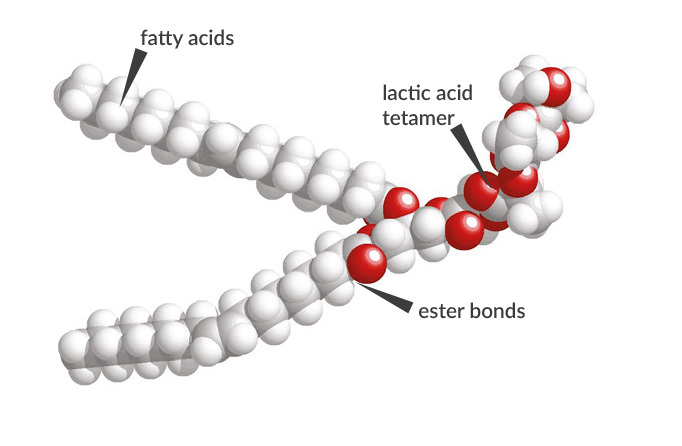 As the molecule is designed to be appropriately soluble, it then gradually dissolves back into the groundwater, where it ferments to drive enhanced reductive dechlorination (ERD), but also reaches its critical micelle concentration (300 ppm), reforms as a microemulsion and moves further out from the injection point. This process repeats to ‘self-distribute’ the 3DMe over large distances within the subsurface, without it washing away. This mechanism allows for wider injection spacing which reduced the number of injection locations. Prior to a full-scale application being completed, it was determined that a pilot test should be completed. The intention was to determine how well the heterogeneous formation would accept the application, verify the injection spacing and confirm the efficacy of the treatment. A 20m wide barrier was installed perpendicular to groundwater flow. This consists of 5 injection points, forming two rows with 10m spacing within the rows and 4.5m in between rows (see fig. 4) This created an effective injection spacing of 5m perpendicular to groundwater flow. 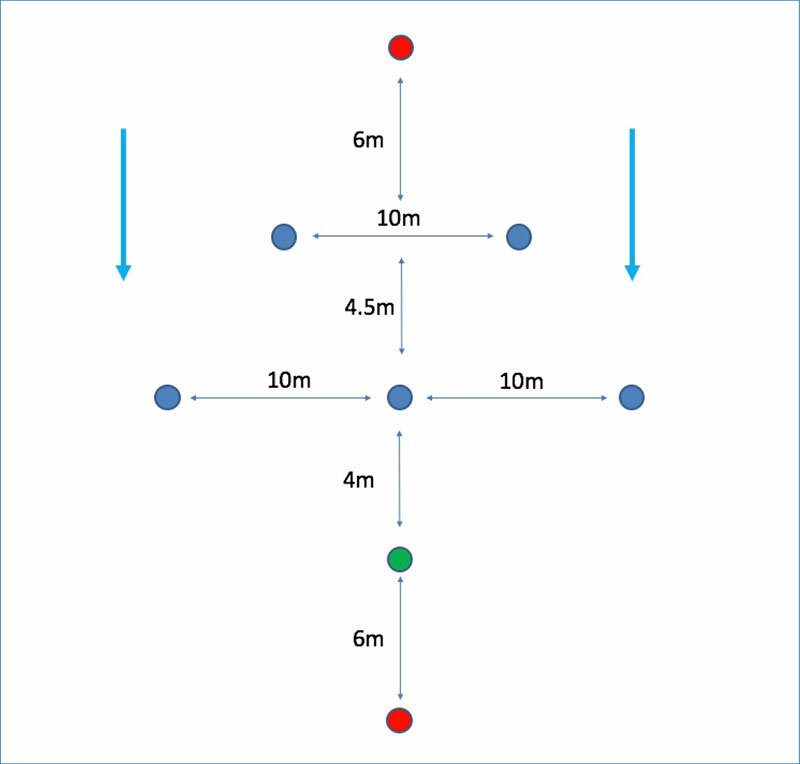 Direct push injection was used, with the requisite dose of 3DMe injected at each location from 4m BGL (groundwater level) to 10m BGL (top of the competent bedrock). Validation was completed over 12 months following application. During this period the small amounts of PCE and TCE were reduced in the groundwater to below detection limit. The main cis-1,2-DCE contamination was reduced by 99% to 13μg/L, well below the remedial target of 500μg/L. Sequential production and degradation of daughter products showed that full reductive dechlorination was achieved, with vinyl chloride (VC) concentrations peaking at 280μg/L, but then quickly decreasing to 12μg/L by the end of the validation period. Full reductive dechlorination was also evidenced by the production of ethene throughout the treatment. The pilot trial demonstrated the ability to apply 3DMe on a wide grid in a heterogeneous formation. 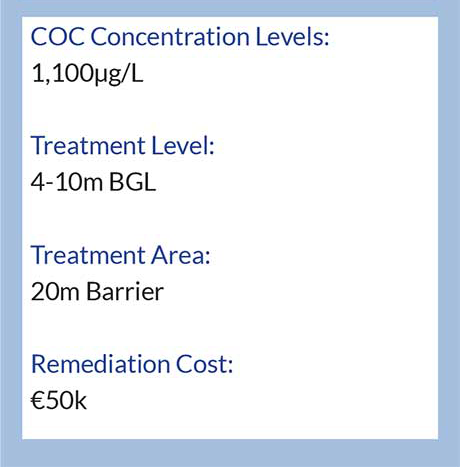 The treatment successfully reduced the contaminant of concern by 98%, well below the remedial target values. Full reductive dechlorination of the contaminant was achieved. The pilot trial allows for the full scale treatment to be accurately designed and programmed.